This Socket comes only in screw terminal format. This is the standard 13 pin system used throughout Europe. It provides for a solid splash proof connection and is compatible for trailers/Caravans purchased abroad. 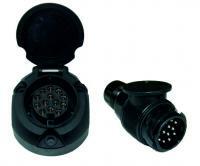 We also provide ‘adaptor kits’ for interchanges between 13 pin and 7 pin connections. 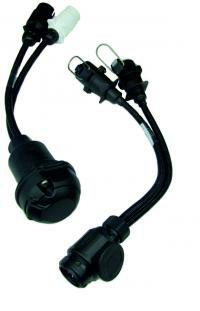 These are for all combinations from short adaptors to twin wired.